The Nikka 12 (43.0%): This blend got added to the core range of Nikka in late 2014 to commemorate 80th anniversary of Masataka Taketusuru opening the Yoichi Distillery in 1934 in Hokkaido and was available only in Japan when released. 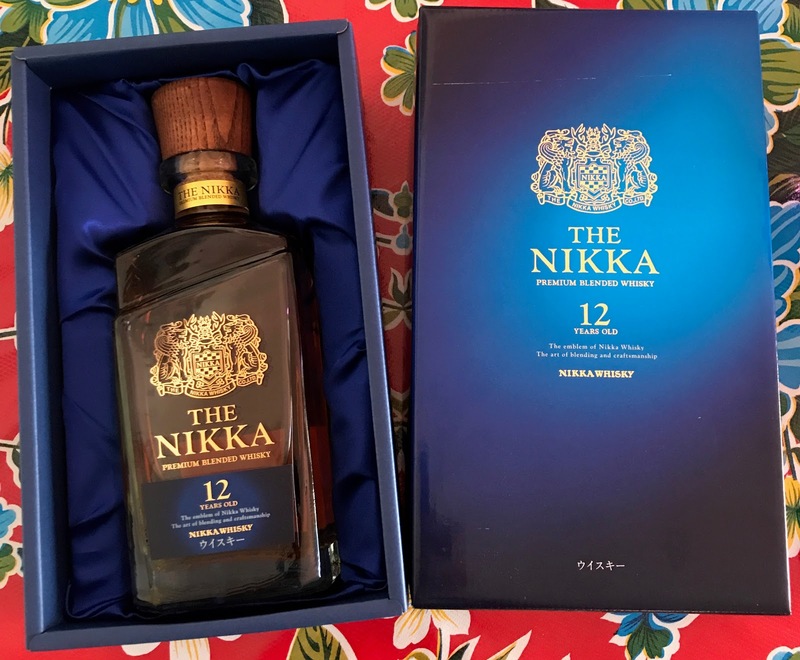 It is blended using malt whiskies sourced from Yoichi Distillery and malt and grain whiskies from Miyagikyo Distillery. As you can see from the photo it comes in a pretty fancy packaging and apparently the bottle design is inspired by the neckline of a Kimono... The golden badge on the bottle is Taketusuru's own design he created for the first Nikka bottling back then. Color: Light amber with thin but persistent legs around the glass. Palate: While the nose was mainly driven by malt whiskies the palate is dominated by grain whiskies and wood. Toasted wood, pencil shavings and leather upholstery. Less fruity more spicy and bitter on the palate. Over brewed white tea, thyme and soot. Burnt sugar, chocolate malt, cacao nibs. Finish: Quiet long with toasted cardamom pods and black tea. Cheyenne peppers and nutmeg.